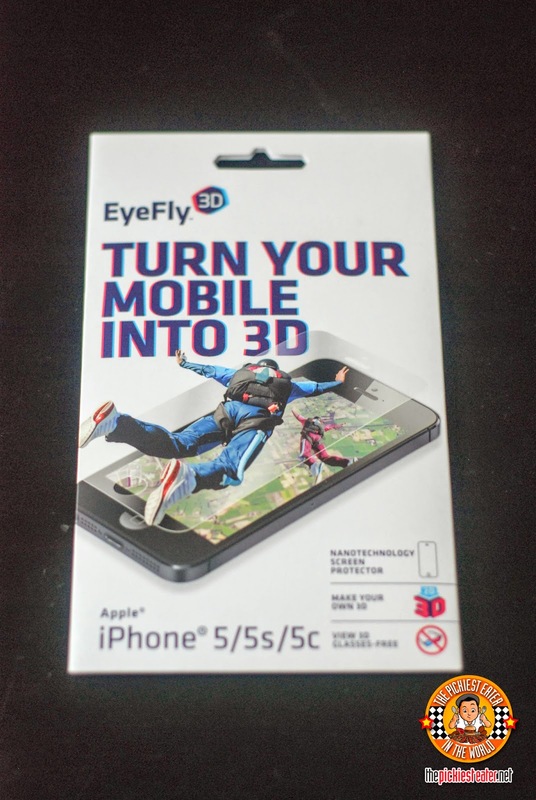 EyeFly 3D by Nanoveu is the world's first screen protector that turns your tablet / mobile phone to emit amazing 3D graphics without the need to wear special 3D glasses. 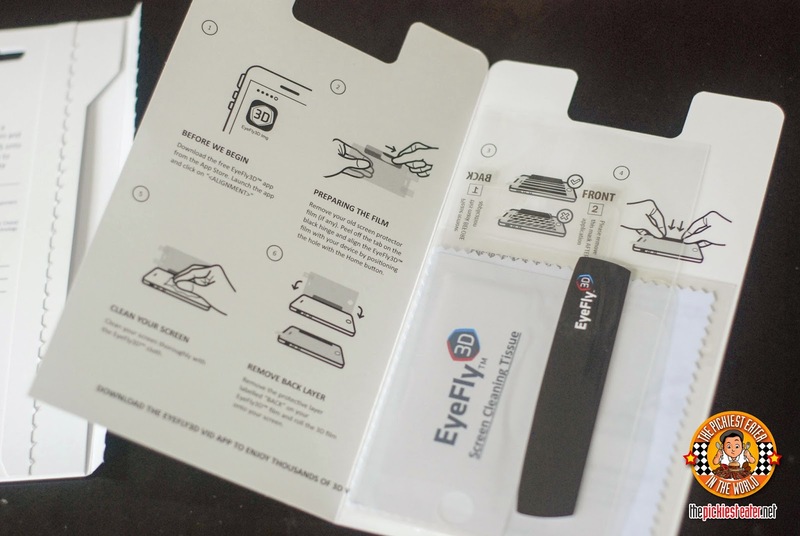 You can view 3D videos or photos effectively with EyeFly 3D. Mind you this is just a thin screen protector. So it's quite amazing how they were able to turn this into a 3D experience. 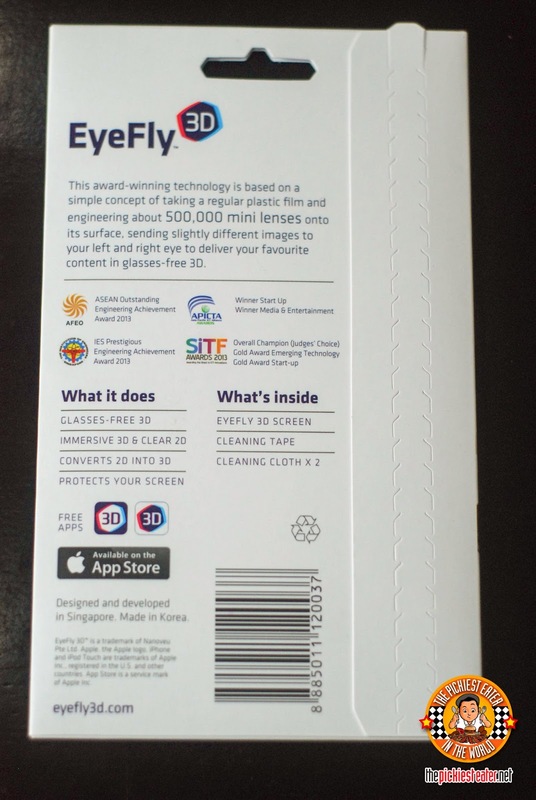 And for you to enjoy this EyeFly 3D screen, they have a couple of 3D apps that you can download free of charge. There's EyeFly 3D Image, EyeFly 3D Video, etc. You can also browse YouTube for 3D videos that you can watch. 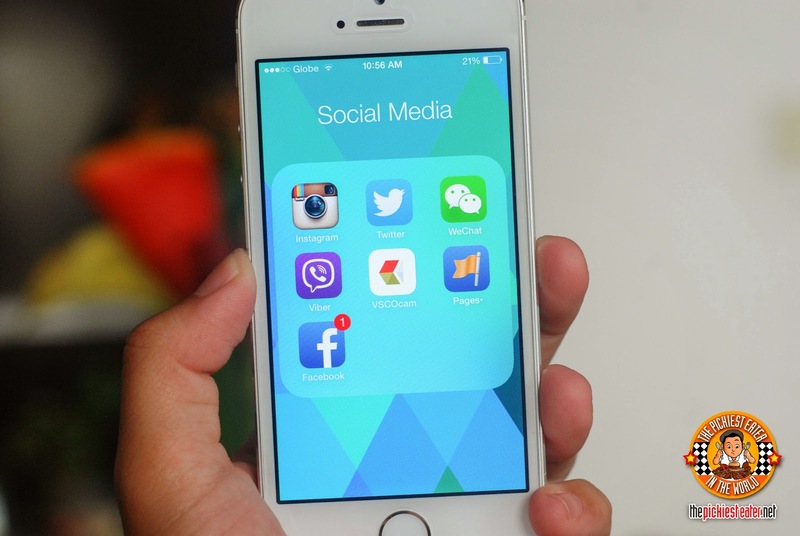 Although it is only currently available for iPhone 4S, iPhone 5, iPhone 5C, iPhone 5S, iPod Touch 5th generation, iPad Air, iPad Mini, and Nexus 7. 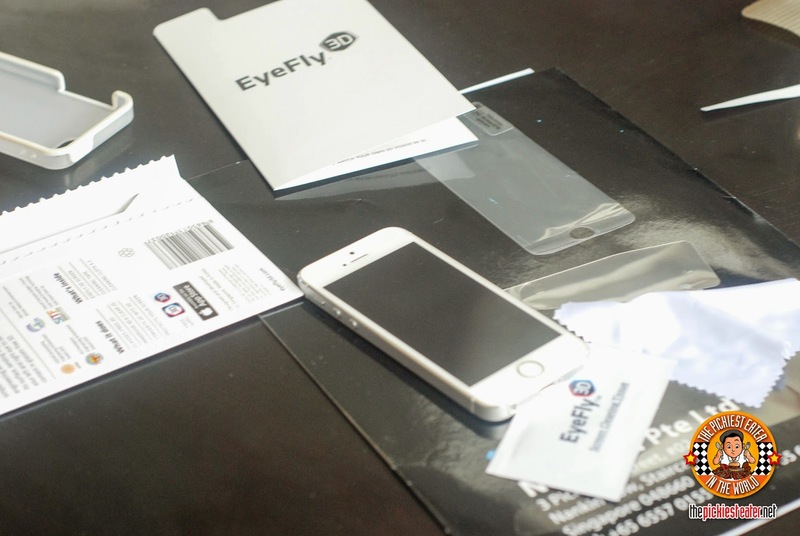 I especially had fun trying this product because it was my first time to successfully install a screen protector. Just follow the instructions from the packaging and you'll be fine. They even included some other stuff that will make the changing of the screen easier. 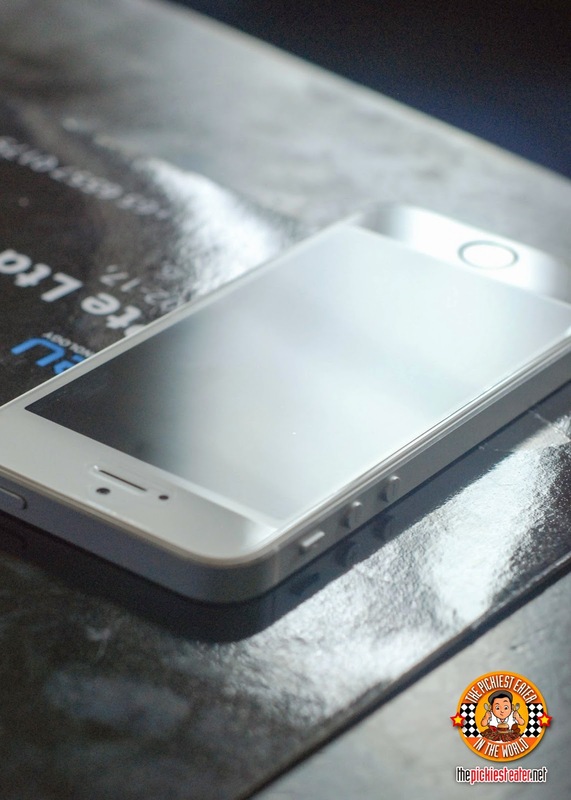 Note that if you currently have another screen protector, you should remove it first. You can't put this on top of an existing protector. The screen, and some screen cleaners. To ensure a bubble-free installation. 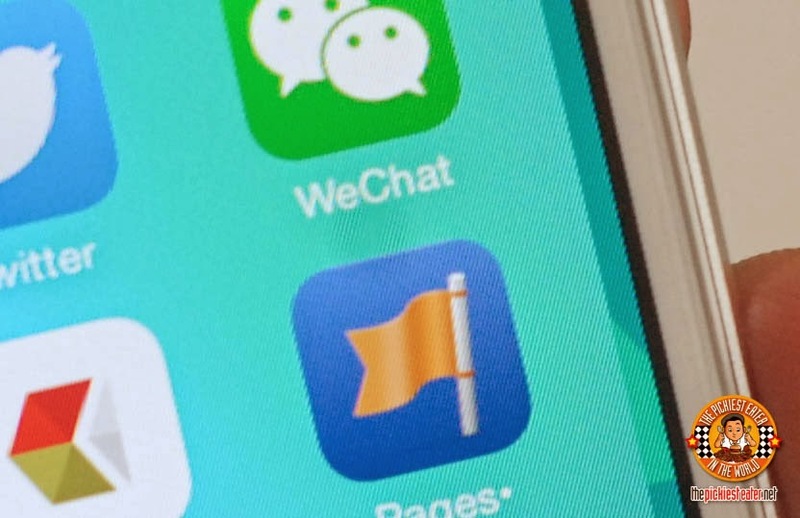 Installing the screen is a bit more special because you need to install it when you have downloaded the app. 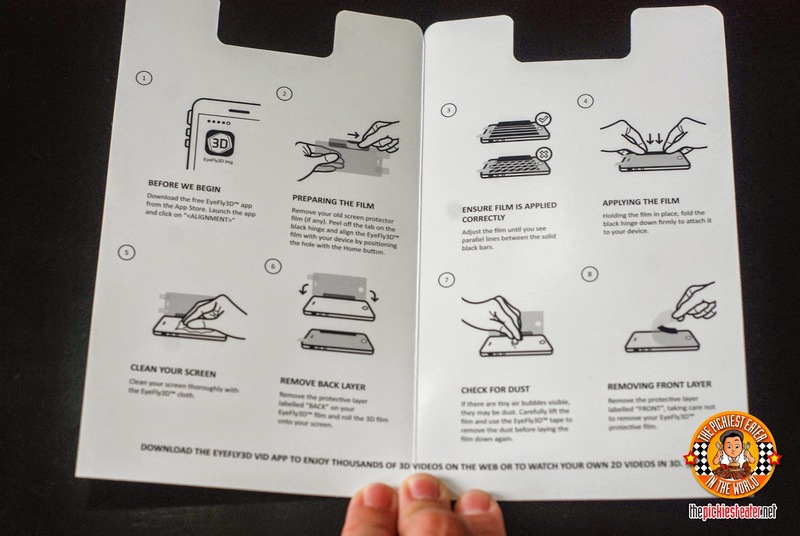 Once you download the app, select the Film Application Instructions and you will see 4 thick lines (pictured above). When you place the screen protector on top of the screen, you will see some lines move between the solid black bars as you move the screen protector around. You need to adjust the placing of the screen so that the moving lines that you see become parallel. And then follow the rest of the installing process and then you're done! 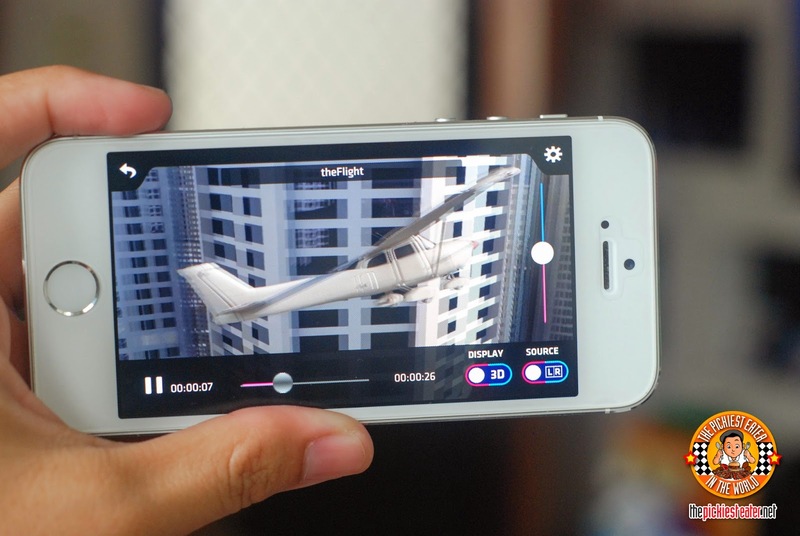 On the EyeFly 3D app, there's a pre-loaded sample 3D video that you can watch. I know it's hard to tell from the photo, but the plane really did become 3D. Like the wing of the plane was reaching out to me. The depth of field is incredible.I also took a video of it but it's also hard to see the effect of the 3D with the video I took. You really need to see it live. And as mentioned, since this is in a form of screen protector, it does more that emit 3D images. 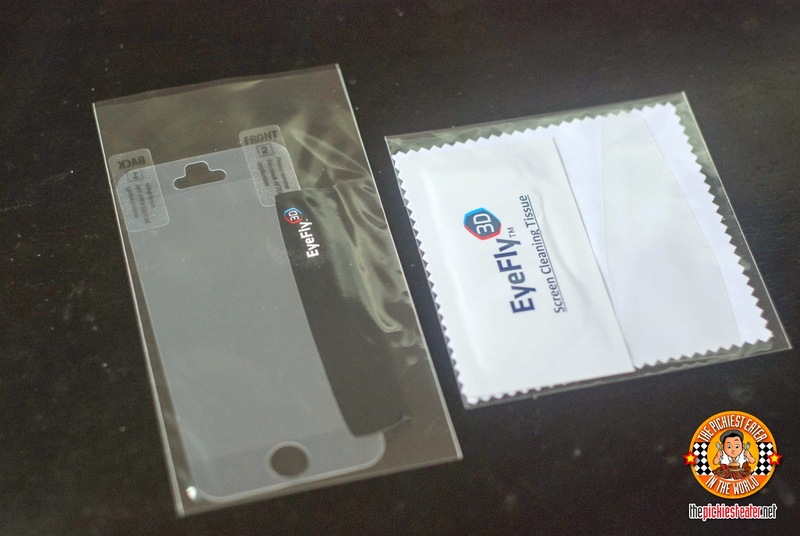 It actually IS a screen protector as well to save your screen from key scratches, etc. I personally like the fact that the middle part of the EyeFly 3D is in matte texture, but the top and bottom part are glossy which still adds shine and glamour to the beautiful exterior of the iPhone. But although the middle part has a matte finish, it's still quite bright. The only thing is, the EyeFly screen has these slanted lines that you can clearly see with the naked eye. I mean it's fine. I guess those are the nano lenses... but I personally feel the retina display of my phone will just be covered.